Estimated Sub-Lesson Length: 2 – 4 hours | Watch the video & complete the sub-lesson by filling in the blanks in the Digital Age College Planning Workbook! In this lesson, students will need to get involved! Potential major’s and career path’s, based on their interests. Potential colleges they might want to attend / can afford. There are dozens of different resources available to research colleges online! Not one resource has ALL the tools you need for a complete analysis, which is exactly why we developed an article on the top 10 college resources for high schools students! To simplify the process and save you time, we recommend starting out with Cappex, which we’ve identified as the #1 research tool. Afterward, go back to our top 10 college resources article to do a more in-depth analysis of your college choices. Take the time to fill out the information correctly. This information is needed to help you find colleges that are best suited for your particular needs! After completing the registration, Cappex will provide a brief overview of how the platform works. Go over the to “Major” tab, then in the middle-right of the screen, click: “Take the Quiz” to determine some potential majors based on your interests. After completed, you will see some potential majors and careers, based on your response. Remember, just because it says you are well-suited for a major or career, does NOT mean that is what you have to do! This is a great tool to get you thinking, but won’t figure it out for you! That takes time and a bit of self-reflection! Fun Fact: Students that become members of the Student-Tutor Mastermind Program complete an entire lesson on this ALONE! Before moving past this step, please add at least “3 majors that evoke your curiosity” to the list. Pick majors that provide an ROI! As a general rule of thumb, majors relating to engineering, science, and computers will have a higher ROI than majors related to the arts. If the majors that most attract your attention are related to the arts, make sure you figure out which ones would still be worth the investment. For example, graphic design and industrial design degrees are in high-demand in today’s current marketplace. 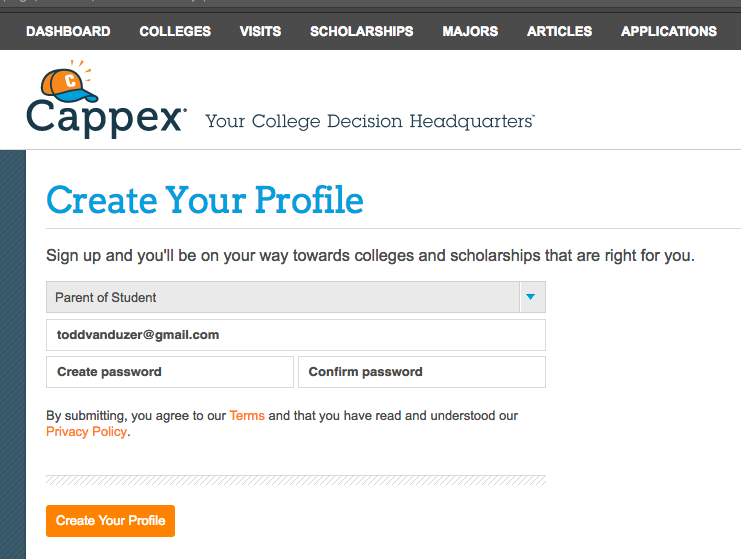 Once inside the advanced search, you can begin to search for colleges based on location, school size, tuition cost, etc. Review and check off following 7 questions before you select a potential college. 1. Do you have, or can you obtain the necessary GPA & Test scores to be accepted to the school? Be Practical: If you have a 3.2 GPA, don’t be looking into Stanford and MIT. With admission rates below 10%, even students with 4.0 GPA’s and perfect SAT/ACT scores get denied by these schools! Be realistic with what is possible, and understand what is not. There is nothing wrong with public colleges! Some of the most influential leaders have come from them! Be Optimistic: On the contrary, do not lose hope in attending your dream school! If you get started early and take the necessary baby steps, anything is possible! 2. In-state or out of state? If you get the chance to go out of state to study, DO IT! Though the cost is higher, being away from home will force you to grow up a lot faster, and become more independent. You may not like it at first, but it will be worth it in the long run! Please… do not take thousands of dollars in student loan debt to make an out of state school reality! 3. Does the school offer study abroad programs? Study abroad for an entire semester, no matter what the cost is! You will learn more about yourself in those short couple of months than you ever have before! This is worth going into a little student loan debt for. It is an investment in yourself that will offer long-term rewards! 4. Does the school offer a variety of different degree and major options? Many small schools do not have different degree options, while larger schools offer dozens, if not hundreds, of different degrees! If you are not 100% certain what you want to major in, or think it may change DO NOT go to a small school. Go to a large school with many different options in case your interest change! 5. Does the school offer quality internship opportunities? Many small schools do not have the best internship opportunities. Larger companies tend to target large schools, since they tend to provide the most value for the least amount of effort. Make sure whatever school you are thinking about attending offers quality internship opportunities, so you can gain applied life skills that will be game changers for your future career! 6. Can you afford the school? How much potential student loan debt will you acquire? Unless you got into an Ivy League college, we advise you to NOT take out more than $5,000 per year in student loans. In fact, if you have extra money you have been saving for college; instead of spending it on an expensive private school, go to a state school, and use that money for study abroad, conferences, or mastermind programs! You will make just as good, if not better, connections as you would make at elite universities. 7. What merit base scholarships if any does the school provide? After Googling “Merit-based scholarships for the University of Arizona,” I found out that with a 3.0 GPA and a 30+ or 1390 SAT score I could get $56,000 over four years in scholarships! Wow! I can now afford to go out of state! Many times, figuring out what merit-based scholarships are available (and the process to get them) will take some digging. You might even want to call the school’s admission office. However, this is critical because then you will know what’s needed to ensure you score that scholarship! In this article, I mention how the University of Alabama offers a $107,800 scholarship with a 3.5 GPA! Look how fun the school looks via the picture below! After you have picked some colleges that fit what you are looking for, open up your Digital Age College Planning Workbook and fill in the blanks! This will help set you up for the next sub-lesson, where you will create SMART college, year, and semester goals! Before proceeding to next lesson, make sure to complete the corresponding questions located in the Digital Age College Planning Workbook. Feeling overwhelmed with completing these lessons? Let us eliminate all present and future College stress by enrolling your student in our year-long mastermind program! Over the course of a year, students transform their lives by becoming more motivated, confident, and equipped with the skills needed to turn their dreams into reality. Learn more by booking a time to speak with me!